It is said that you should always have a plan to follow your passion or hobby if you are planning a break or retirement from your professional life. You never know where this passion of yours is going to lead you. Something similar happened with Suchita Ullal, a former corporate communications professional-turned-soap creator. She loves everything about making exotic soap – learning new techniques, shopping for new fragrances, formulating new soap recipes, researching different combinations of oils and butters, communicating with customers, and more! 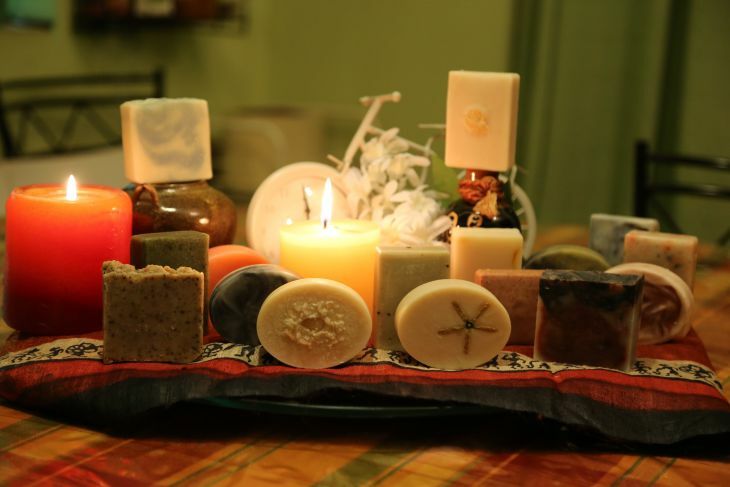 Her journey as a soap creator began entirely by chance while she was buying what was being peddled as “natural soap” for a family member from a large retail chain. At that moment she was wondering what was in those soaps that made them more expensive than branded commercial ones. This curiosity had set her off on a journey of attending a workshop to learn the process and then spending many months to perfect the craft. During these months, she watched endless hours of videos put up by professional soap makers on YouTube, read a ton of blogs connected with the science of soap making, and badgered many individuals with a whole lot of questions. 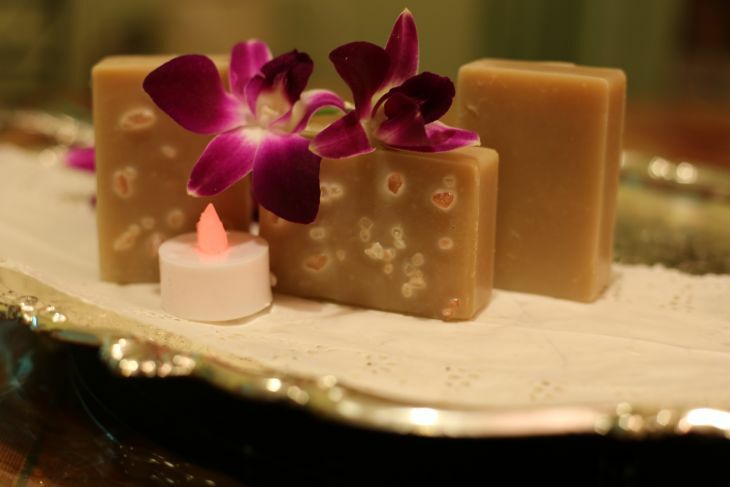 Soon she felt confident enough to try making soaps as giveaways for a function in the family. She gathered all the tools, the oils, the scents, the moulds, the botanicals and other skin friendly additives, and plunged in. In addition to YouTube, she read everything she could get her hands on to learn more about the soap-making process and technique. Soon she had enough bars of soap to take to a flea-market where she test-marketed the product. Registered under the eponymous brand Suchi’s Soaps, Suchita Ullal started her business in a small manner only to keep it manageable. Her belief to start small allowed her to keep folding her sales back into more supplies. The exotic soaps under her brand are completely natural, and are made using the cold process method in their home workshop in Bangalore. Each bar has high percentages of nutrient rich oils such as coconut, rice bran, sunflower, palm, castor, mustard or neem in varying proportions and combinations to suit different types of skin. There are soaps for oily, dry, sensitive and damaged skin types. In the cold process soaping method, no external heat is used. This method preserves the goodness of natural ingredients as much as possible. Botanicals such as calendula, lavender, marigold, fragrant spices such as cinnamon, cleansing earthy clays (such as Multani Mitti, French Green and French Pink) and activated charcoal are also added depending on the need. Tropical butters like shea, kokum and cocoa are used for their skin care benefits. She eventually wants to start conducting classes to make this craft, while continuing to grow the business beyond Bangalore. Seeing her handmade soaps selling from shelves in stores that understand the value of “natural” to a community that truly understands “natural” is a definite goal. She also wants to start a line of natural cream deos and natural body butters. Like natural soaps, cream deodorants are considered more environmentally friendly than aerosols, which can have adverse effects on the atmosphere. Another passion she loves to follow is to travel to different places around the world. When asked about her perfect dream holiday – “I love to travel with WOW. My idea of a perfect dream holiday is to leisurely roam the streets of as many European cities as I can in this lifetime.There are so many churches, archaeological sites, paintings, art and things of natural beauty to see in these cities that a lifetime is hardly enough. New Zealand is another destination I am looking forward to going to, and am just waiting for the right time and opportunity to visit.